On Wednesday, Nov 28th, Dr. Peter Andreas from the Watson Institute at Brown University will give a talk on his new project: “Drugs and War: What is the Relationship?” The talk will take place from 5:00-6:00 p.m. in Ruane LL05. Andreas is the John Hay Professor of International Studies. He joined the Institute in the fall of 2001, and holds a joint appointment with the Department of Political Science. 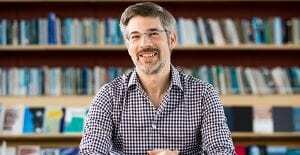 Previously, Andreas was an academy scholar at Harvard University, a research fellow at the Brookings Institution, and an SSRC-MacArthur Foundation Fellow on International Peace and Security. He holds an MA and Ph.D. in government from Cornell University and a BA in political science from Swarthmore College.